Announcement ***FAST SHIPPING! *** All orders ship in 1-3 business days. Regular shipping takes 3-5 business days. Need your order quicker? Upgrade your shipping to priority (2-3 days) by selecting the appropriate upgrade in the upgrades section of the shop. Welcome to Sweet Repose Boutique! 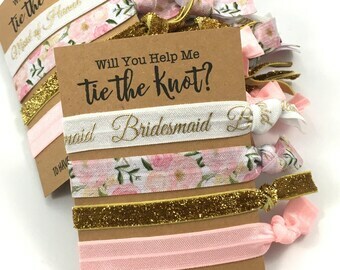 We specialize in bachelorette party favors and bridal party hair ties, along with some other really great stuff! We have hundreds of patterns and colors of elastic in our shop. Some were designed by Sweet Repose and won't be found anywhere else! ***FAST SHIPPING! *** All orders ship in 1-3 business days. Regular shipping takes 3-5 business days. Need your order quicker? Upgrade your shipping to priority (2-3 days) by selecting the appropriate upgrade in the upgrades section of the shop. Choose your saying and hair tie! We want you to be able to create the perfect favors for your special day! Our tropical ties have been a hit lately! You can choose your own prints from our selection! They are here! These have been in the works for a while and I am so excited to share them with you! We have 3 different scratch off games available, check them out! Our great wall of elastic! You can say I have an obsession, but I'm ok with that! Where we lounge and create. I love filling my studio with items from other small shops, keeps me inspired! The "mini boss" of Sweet Repose! My true inspiration is my mom and I have always been like her. She is the business owner of a beautiful shop full of handmade goodies in Buffalo (where I’m from). For as long as I can remember, I loved going to "work" with her. She always told me if you love what you do, you’ll never feel like you’re working. Fast forward to 2014..... Sweet Repose began! The name? I visited my grandma one day at her beautiful shabby chic home, filled with one of a kind everything, and I saw a vintage linen draped over a chair that said “Sweet Repose” surrounded in roses. It stood out to me and I knew that would be my shop name someday! Although my grandma is no longer with us, I think she's looking down and smiling at me for making my dreams come true. I find true happiness creating beautiful things for others to enjoy. My craft studio is my favorite place to be and is filled with things that I love, giving me the inspiration to create every single day! I am living a dream I’ve always had, and have my amazing customers thank for all of their support to keep Sweet Repose going!